Belgian Bearded d’Uccle Bantam pictures, video, information, and chicks. Belgian Bearded d’ Uccle (pronounced dew-clay) Bantams have many qualities desirable in an individual or family pet. Originally from the jungles of Java, the breed combines the exotic qualities of a parrot with the temperament, ease of upkeep, and low cost of a domestic chicken. Their bantam size make them ideal for a metro backyard farmer. Belgian Bearded d’ Uccle Bantams provide children with a good introduction to the fundamentals of husbandry. These pets give something back in the form of eggs, manure for the garden, and meat. The Belgian Bearded d’ Uccle Bantams tame easily and like a ready ride on an available shoulder. Broody, they bear up to confinement well, like to roost, and make good mothers. They will even incubate chicks for other hens. Although kind to their own, the roosters can act aggressively toward humans and might frighten a small child. The Belgian Bearded d’ Uccle Bantam likes a good dust bath to rid itself of lice. They will luxuriate in the dust for a full hour and provide much entertainment to their human onlookers. 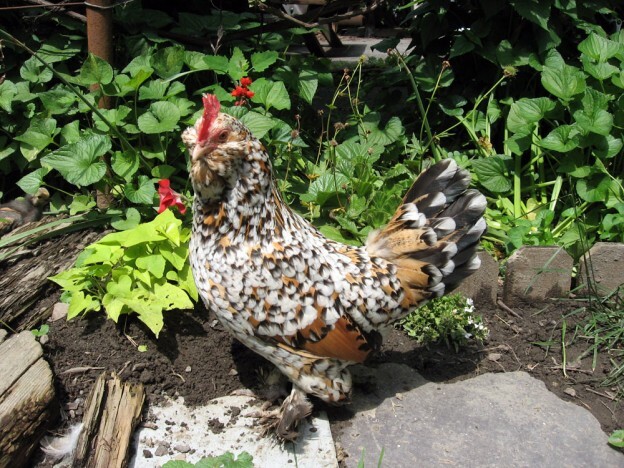 Some enthusiasts mistakenly use the label Mille Fleur when looking at a Bearded d’ Uccle Bantam. 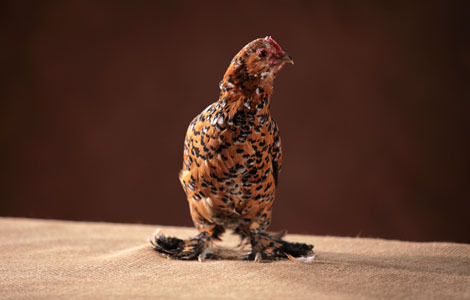 Mille Fleur describes the particular plumage most associated with this bantam. Very distinctive, the Mille Fleur plumage features a dark, brown feather divided by a black bar tipped with white spangle. In reality, the breed has many different plumages. Boots, the most recognizable feature of the Bearded d’ Uccle Bantam, consist of long feathers covering the legs that look like snow boots. 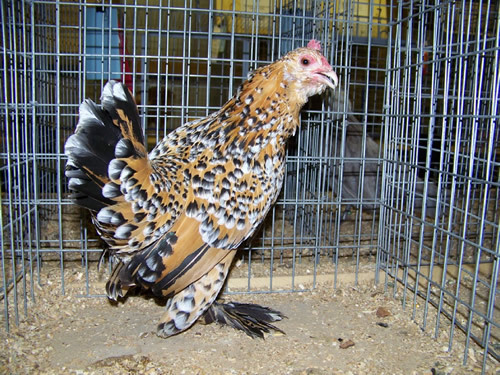 In most breeds breeders incorrectly use the word “Bantam” to describe the miniature version of a breed. In the case of the Bearded d’ Uccle Bantam, the term “bantam” describes the actual and the only size of the breed. The small bantam only needs a few square yards of run outside their wooden coop. Keep the run dry. The soil in a chicken run saturated with chicken manure can encourage an increase in parasite population. Move your coop and run every thirty days. Although more hardy than the typical tropical bird, Bearded d’ Uccle Bantams need a warm, dry environment during the winter months. You can usually buy bantam food at most pet stores. 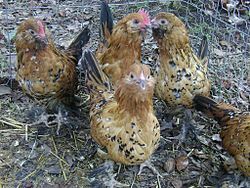 Owners who show their Bearded d’ Uccle Bantams keep them on soft bedding to protect the feathered boots. The Belgian d’ Uccle originates in Belgium during the early 1900’s when Michael Van Gelder crossed two separate bantams to create the Uccle—named after a city near Brussels. The “d’” means “from” in English. The Belgians simply call the breed Uccles. Belgium actually has two famous bantams—this one from Uccle and another one from Antwerp. In 1911 the Uccle found popularity in England after going on display in the Crystal Palace for two years running Since that time their popularity has spread worldwide.